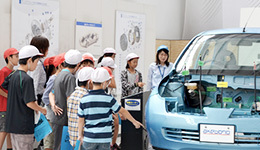 Initiatives in Production | Environmental Initiatives | Corporate Social Responsibility (CSR) | Akebono Brake Industry Co., Ltd.
Akebono has been promoting an energy and CO2 reduction project since 2007, improving onsite facilities at all sites to help reduce CO2 emissions and implementing energy conservation activities. 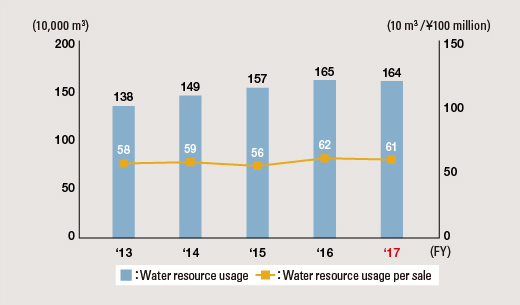 Considering the importance of managing water resources to reduce usage, we have ascertained our water resource usage and continue to prioritize activities to reduce this. 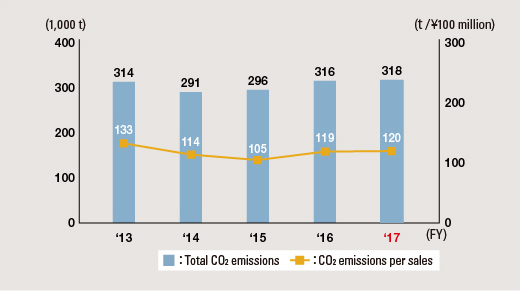 Akebono’s CO2 emission volume worldwide in fiscal 2017 increased by 2,000 tons to a total of 318,000 tons of CO2 from the previous year due to an increased production of metallic materials and other factors. Our water resource usage was reduced from the previous year by 10,000 m3 to 1,640,000m3 through the promotion of preventative leak inspections and the recycling of discharged cooling water. We have conducted analysis of factors of those increase from the previous fiscal year and continue to prioritize activities to reduce them. * The company’s Ai-City has been added to the scope of calculation for emissions going back to 2013. 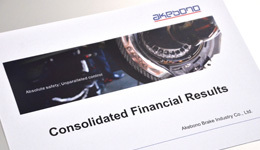 In order to eliminate waste material generated by our business, Akebono continuously promotes zero emission initiatives. In 2004, we achieved our goal of no landfill disposal of industrial waste in our main domestic locations. Zero emission goals promoted by Akebono (no direct landfill disposal or incineration) was achieved by Akebono Brake Sanyo Manufacturing Co. Ltd. in March 2006 and by Akebono Brake Iwaki Manufacturing Co. Ltd. in February 2007, marking the successful implementation of the zero emission plan in all our facilities. 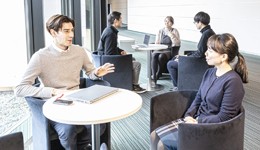 Akebono will keep contributing to the creation of a recycling-oriented society and will continue the research in efficient usage of recycled resources as well as reduction of waste disposal costs and optimization of disposal methods. In addition, we keep strengthening our efforts to achieve the goal of no emissions while further promoting “reduce, reuse, recycle” - the basic objective behind the zero emission concept. Continued to accomplish zero emissions through disposal methods with low environmental impact such as the recycling of sand into raw material for cement which the Company started in 2010 through outsourcing. 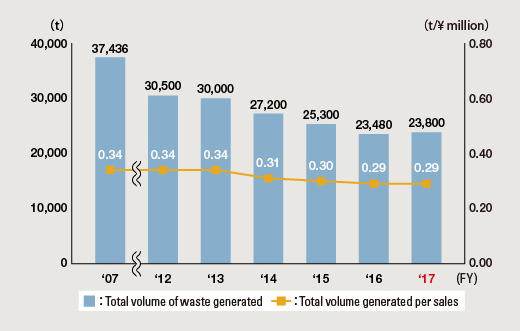 Since fiscal 2007, we eliminated landfill waste completely. 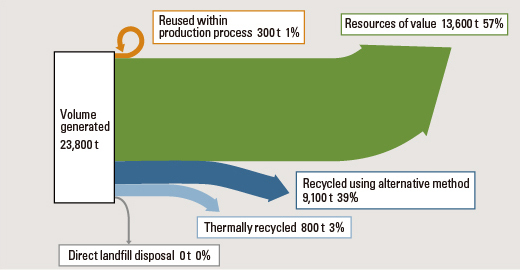 * Total volume of waste generated includes resources of value, such as metals. * The right axis is the figure obtained by dividing the total generated volume (major operations in Japan) by domestic sales. 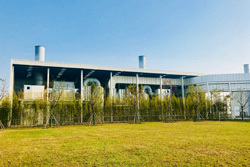 Akebono has introduced wastewater treatment and air purification systems and is carrying out environment-friendly production activities. Iwatsuki Manufacturing upgraded its wastewater treatment system and cleared wastewater standards by a wide margin in fiscal 2017. In fiscal 2018, Akebono plans to introduce a system In Guangzhou, China that reduces total wastewater volume and expects it to meet the standard for heavy metal content in wastewater. In China, where air pollution is a growing problem, industrial zones in each area apply voluntary standards. 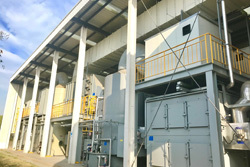 In Suzhou, we established a new air cleaning system that uses an electrostatic precipitator and low temperature plasma treatment* and applied voluntary standards that exceed those of the law and regulations. This air cleaning system also helps to deodorize the air. * Low temperature plasma treatment: Low temperature plasma is air that has around 1% plasmarized (separated into positive ions and electrons) so that it contains plasma ions at room temperature (a few degrees Celsius) and is able to dissolve organic matter. 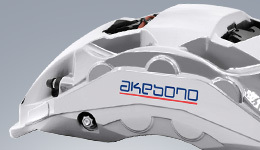 Akebono is looking to develop engineers who will design the facilities of the future by conducting a program for “building a miniature production line for brake manufacturing processes that can be operated by a single motor.” Under the program, a team of young engineers who are within the first five years of their assignment to the production engineering division undertake “miniature line building” concurrently with their ordinary work, undertaking all steps from planning and design to production. This initiative has been carried out since fiscal 2010. In fiscal 2017, six junior associates produced a miniature manufacturing facility for high performance calipers. 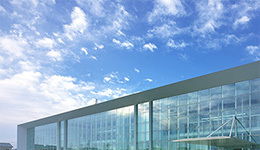 The original facility was installed in Hanyu and is the manufacturing facility for producing aluminum opposed type disc brakes for European manufacturers. Building miniature production lines involves considering the operability of each process as well as the timing coordination over the entire line and so forth. This resulted in various innovations such as reducing the weight of moving parts. 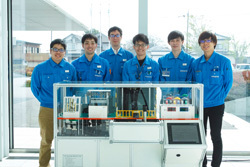 Looking ahead, we will develop engineers who will take a birds-eye-view of the entire line and apply their own skills to designing energy-saving, high efficiency facilities.